Kerr Pump & Supply offers a wide assortment of Solberg compressor filters and blower filters for all of your pump filtration needs. 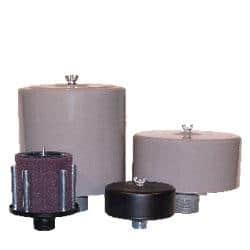 Intake Filter Assemblies – Have durable weatherproof housings and ample surface area which provides long lasting filtration. 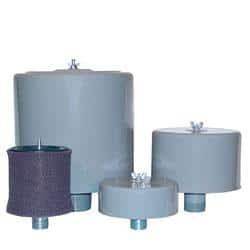 Different types include F Series 4” – 6” Flange inlet filters for compact air assemblies, F Series 6” -14” Flange Big Boy Inlet filters for inlet filter assemblies, F Series ½” – 6” Inlet filters for compact filter assemblies, and F Series 18” – 24” Flange Sumo Class Inlet filters for large airflows in a single barrel filter design. Exposed/Open Inlet filters – This a cost effective filtration solution. The element is exposed for optimal airflow and minimal pressure drop. Different types include FT Series ¼” – 6” Inlet filters, FT Series 4” – 6” Flange Inlet Filters and FT Series 6” – 14” Flange Big Boy Inlet Filters all for compact exposed/open element filters. Premium Inlet Silencer Filters – Helps reduce the footprint of PD blower packages. It is designed with an integrated reactive/absorptive silencing technology that incorporates sound absorbing material, noise deadening and multiple silencing tubes. It also uses a reactive silencing design. 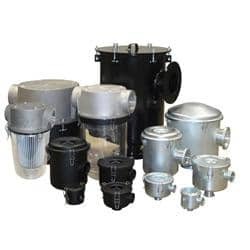 Different types include QB series compact silencer filters for help in reducing the overall size of your blower package. 2G series 4” – 6” flange, silencer filters used with heavy duty compact silencer filters. 2G series 6” – 12” flange, big boy silencer filter used with heavy duty silencers filters. 2G series 3” – 6” MPT, silencer filters used with heavy duty compact silencer filters. Lateral Access Filter Silencers – Help makes enclosures feasible and simplifies the maintenance process. The side access port allows sound enclosure’s overall height and cost to decrease. Different types include LQB series 3” – 6” lateral access filter silencers which reduce the size of sound enclosures and simplifies maintenance. LQB series 4” – 12” flange lateral access filter silencer which also reduces the size of sound enclosure and simplifies maintenance. Inlet Vacuum Filters L-Style – Designed for the inlet vacuum pumps. Have an L configuration and is rated for full flow and low pressure drop operation. The housings are vacuum tight for highest equipment performance. Different types include CSL series 3/8” – 3” inlet filters for vacuum used with compact L style inlet vacuum air filters. CSL series 3” – 6” for vacuum used with L style inlet vacuum air filters. CSL series 4” – 12” flange, inlet filters for vacuum used with L style inlet vacuum air filters. 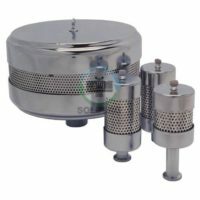 Compact Oil Mist Filters for Small Vacuum Pumps – Designed for lab and medical vacuum pumps. The compact oil mist eliminator or oil mist exhaust filters captures oil fog, mist or smoke from the discharge of vacuum pumps. Different types include EF series – compact oil mist filter used with compact oil mist discharge filters, ISO flange, fine thread, and MPT. EFDB series w/auto-drain compact oil mist filter for compact oil mist discharge eliminator with auto-drain back systems, ISO flange and fine thread. Liquid Removal Vacuum Filters – Used to remove harmful liquid, sludge and particulate for the inlet of a vacuum pump. The LRS and SRS series model are integrated liquid separator and inlet vacuum filter. It simplifies vacuum packages, combines two functions into one and can be custom configured. The STS is a compact liquid separator with a see-through housings that makes visual inspections easy. Different types include the LRS series liquid separator/vacuum filter for L style filters. SRS series liquid separator/vacuum filters for straight-through style filters. STS series see-through liquid separator. 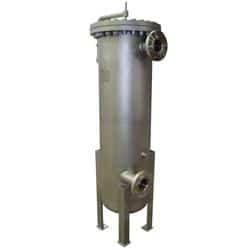 The integrated liquid separator and vacuum filter is primarily used in air process systems where water or solvents need to be separated before the air reaches the air pump. Hydraulic Breathers – These heavy duty and severe duty particulate filters utilize high efficiency polyester elements. The filter elements can withstand oil and are washable. Different types include Hydraulic breathers that minimize contamination of the hydraulic tank compact hydraulic breather. Extreme Duty Inlet SpinMeister (SM) filters – for extreme duty applications with highly dirty environments. Is a two stage system with the initial stage containing a precleaner to remove the large particles and then a primary stage filter element. It makes the life of the filter element increase and reduces cost and downtime. Different types include SM series 3” – 4” SpinMeister extreme duty filters for dual stage filters for extremely dirty and harsh environments. SM series, SpinMeister extreme duty big boy inlet filters for dual stage filters for extremely dirty and harsh environments. SM series ½” – 1” SpinMeister extreme duty filters for dual stage filters for extremely dirty and harsh environments. SM series 1” – 2 ½” SpinMeister extreme duty filters for dual stage filters for extremely dirty and harsh environments. Standard Filter Elements – These are replacement parts and elements for Solberg filter assemblies and nonstandard and competitive elements also. 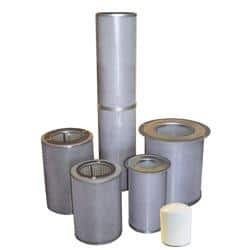 Different types include hockey puck filter elements for miniature filter assemblies which contain high grade filter element offers a built in vacuum tight gasket seal. Polyester elements (5 Micron), up to 6600 SCFM (11220 m3/hr) for industrial strength replacement polyester media elements. Paper Elements (2 Micron), Up to 4705 SCFM (8000 m3/hr) for industrial strength replacement paper media elements. 800 series, small vacuum pump elements for replacement elements on vacuum pumps and are available in polyester and paper media. Specialty Media – Variety of media for various applications including chemical absorptions, stainless steel elements and chemical grade. Different types include Y Media, Polypropylene Elements for Chemical Resistant Media. Activated Carbon Elements, AC Media for Removal of gas or vapor odors, contaminants and particulate matter. J Series, Polyester/Paper Media with SS ID/OD for Stainless Steel ID and OD Metal, Standard Molded Endcaps. K Series, Polyester/Paper Media with SS ID/OD, Food Grade Silicone Endcaps for Stainless Steel ID and OD Metal, Silicone Adhesive Endcaps. Q Series, Polyester/Paper Media with SS ID/OD/EC for Stainless Steel Endcaps, ID and OD Metal, Standard Adhesive. R Series, Polyester/Paper Media with SS ID/OD/EC, Silicone Endcap Adhesive for Stainless Steel ID, OD and Endcaps, Silicone Food Grade Adhesive. GM Media, Electrostatic, Odor Adsorptive Elements for Multi-Use Electrostatic Media with Superior Odor Removal and Chemically Adsorptive. Activated Carbon Granulate Elements, ACG Media for Removal of gaseous or vapor odors from the air stream. Activated Alumina Elements, AA Media for Desiccant used in the adsorption of trace amounts of water and to prevent oil generated by rotary vane pumps from back streaming into the system. TF Media, PTFE Elements for Chemical Resistant and Moisture Resistant Media, 0.3micron @ 99.5% efficiency. RY Media, PPS Elements for broad chemical resistant media. High Efficiency Elements – High efficiency replacement filter elements including HEPA and high efficiency polyester media. Different types include 4 Micron Polyester Elements, “N” Media for high efficiency media. 1 Micron Polyester Elements, “Z” Media for high efficiency media. HEPA Elements, “HE” Media for HEPA media. HEPA Elements w/ SS ID/OD, “HE” Media for HEPA media. Coarse Efficiency Elements – Used for applications that require extra low pressure drop. Different types include 25 Micron Polyester Elements, “U” Media for coarse micron media. 100 Micron Polyester Elements, “W” Media for coarse micron media. Wire Mesh Elements, “S” Media for epoxy coated wire mesh pleated media. SS Wire Mesh Elements, “S2” Media for corrosive resistant stainless steel mesh pleated media. Polyurethane Foam Elements, “FXF” Media for wrapped polyurethane foam media. SS Screen Elements, “XXWSS” Media for corrosive resistant Expanded Stainless steel mesh/screen. 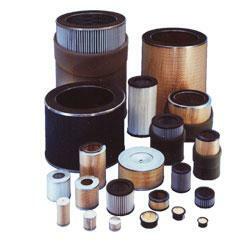 High Temperature Elements – Filter elements that require high temperature media or element construction. Different types include Nomex elements, “MX” media for high temperature media. Nomex SS element, “MXD” media for high temperature media with SS ID/OD/EC and silicone adhesive. Coalescing elements – Solberg’s coalescing elements. Different types include PSG series, coalescing elements for oil mist eliminators for oil mist particles. Custom scrubber Elements for gas scrubber element. WP series, low pressure drop coalescing elements for coalescing replacement elements for applications where minimal pressure drop is needed. Separator Elements – Solberg has Spin On and Top Hat style air/oil separators for compressors. Different types include 51 series, Top Hat style separators for air/oil separator elements. LG series, Spin On style separators for air/oil separators.